Welcome to JulianHagenMusic.com, we're excited you stopped by for a visit. One of the most rewarding things about being a musician, is the amazing people that I have met and gotten to know over the years during my travels here in the states, and abroad. Spending nearly forty years playing, writing, performing and producing music, I can confidently say that there will always be a story to tell, a new song to write, and a melody to strum. Growing up on Washington Island as a 5th generation islander, music was a very big part of my everyday life. Little did I know then...that performing professionally at the age of 15, with my family, would turn into a lifetime career. 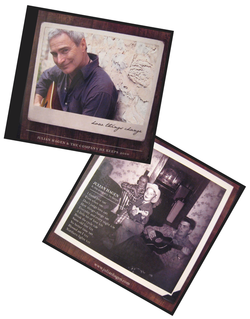 My latest cd, how things change...is a collection of original songs inspired by...what else...life experience. Experiences that tend to bridge personal gaps and bring us all closer together through the lessons only music can teach. Learning about life as I go, inspired by many...I often choose to Infuse a classic folk style with bluegrass, jazz and rock. Combining styles, assists me in making music my way; fueling my passion to complete and produce new work. In moving forward, with all I am grateful for, I want to personally thank each of you...for your genuine interest and continued support. To preview samples of my songs, click on the image to the right or on the tab above titled "Music."